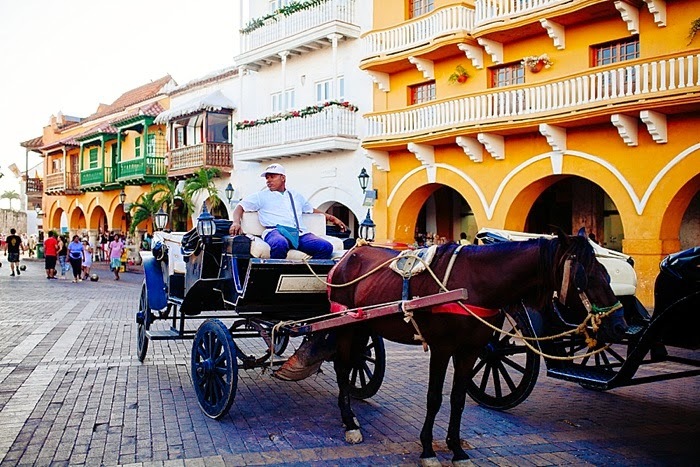 Cartagena is a must stop location for any South American itinerary. It's colorful, fun, historical, and teeming with charm. Kevin and I spent 3 lovely days in the city, exploring the various aspects that make Cartagena so special! 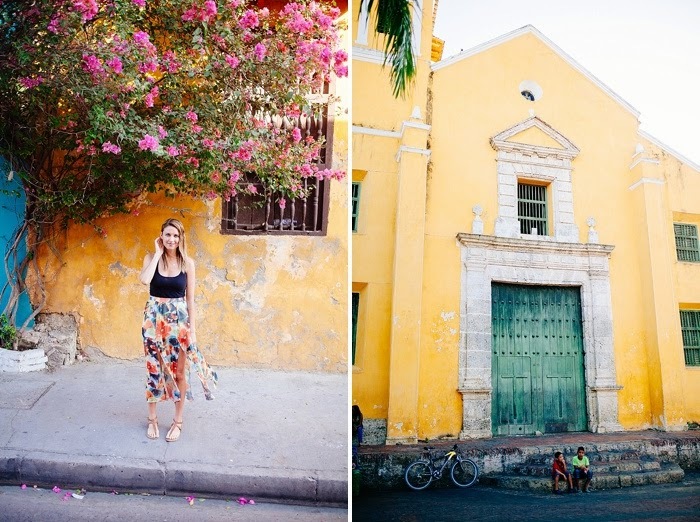 Below are the Top 10 things we loved to do in Cartagena…. An absolute favorite of mine…especially at night. The city center is So colorful, and so well preserved! You'll be swept back in time as you stroll along the cobble stone streets passing by ladies with fruit on their head, horse drawn carriages rhythmically passing by. At night, the city is filled with twinkly lights, guitar playing gentlemen, and lovers strolling down the lane. More pics and info here. Castillio San Felipe de Barajas is an iconic part of the Cartagena city scape. The fortress was built by the Spanish during the colonial era, construction beginning in 1536. It is built up on a hill, securing a strategic location to defend both sea and land attacks. 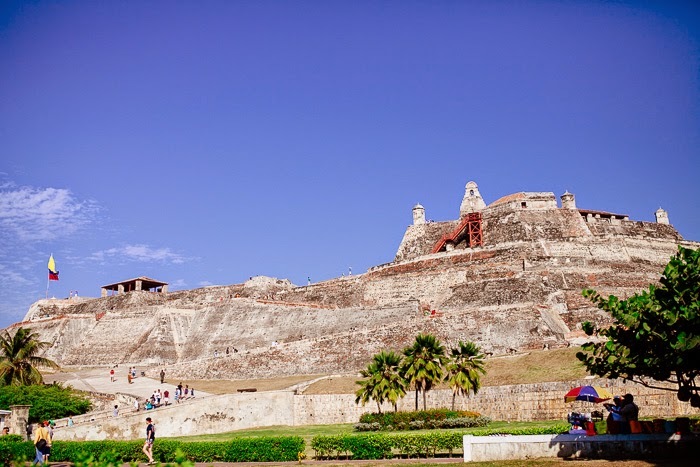 The fortress gives a great foray into the history of Cartagena, and is worth visiting one of the first days you arrive! To see more of our pics and read about the fortress, click here. Cartagena has a variety of surrounding islands that offer day (or even over-night excursions). The islands offer more of the white sand beaches you might be imagining when picturing Cartagena! We chose to visit Isla del Encanto, and it was a perfect all-day excursion! We got on a speedboat in the morning, spent the entire day lounging and swimming and eating yummy food, and then boated back in the late afternoon! The perfect restful day! More pics and info here. 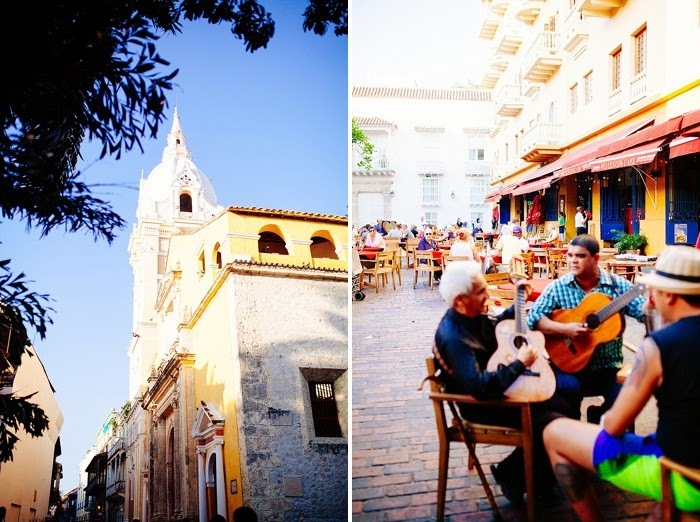 Cartagena has a plethora of tantalizing tastes for you. 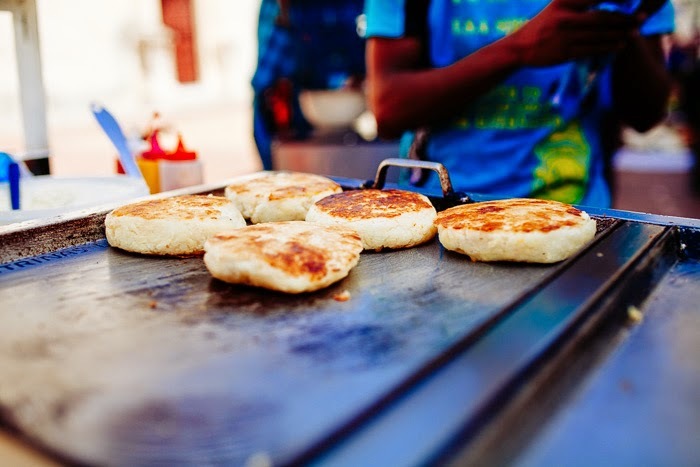 The most common item is the arepa, a corn cake covered in cheese. Then there's the delicious fresh juices, a favorite being coco-limonada. At night, Kevin and I found the sweetest little empanada spot, and Kevin tried a few flavors. A favorite of mine was the fresh fruit…especially the mangos! Yum!! While Boca Grande was not my favorite part of the city, it was absolutely worth exploring. Boca Grande is essentially "Miami Beach" of Colombia. It was built up in the 1950's by rich oil executives, and has the very modern "built-up" look. Kevin and I took a taxi down there one night and found a fun little outdoor restaurant to eat at. We spent the next day at the beach there. It is dense and crowded and has a lot of energy. 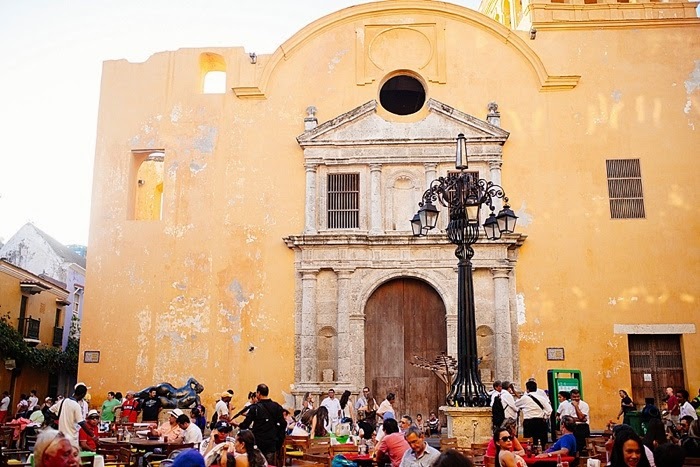 Getsemani is a short walk from the old walled city, but is very historical in and of itself. In some ways, I loved Getsemani even more than the city center, as it felt very authentic and local. Walking down the street where our hotel was located, there were young kids playing checkers and chess, riding bikes, and old men sitting out in their rocking chairs laughing the night away. Many new hip restaurants dot the area, and it is so lively and colorful, especially at night! More pics of Getsemani here. Take a siesta! Get off your feet! Read, sleep, and just soak in the slow pace of life. Our hotel, properly named Casa Relax, had a lovely courtyard with a pool and several hammocks outlining the property. One afternoon Kevin and I laid in the hammocks and just let our body rest. It was divine! 10. Pause to Enjoy the very talented street musicians! Not all street musicians are equal. We've all had our share of walking by someone playing terribly on the sidewalk. Not so in Cartagena. I don't know what it was…but every musician we walked past was brilliant. One night we stopped at 2 or 3 different performers, as they strummed their guitar so incredibly. Buy a gourmet popsicle at La Paletteria, the cutest little home-made popsicle shop ever, and then find a musician to enjoy!